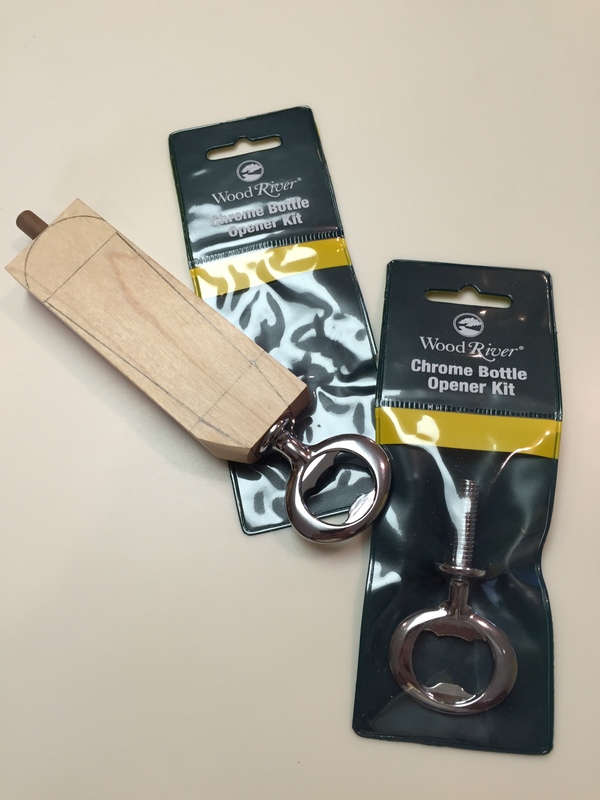 I’d picked up a couple of the bottle opener kits from Woodcraft a while back, and intended to turn some quick handles to make the openers available within the family parties. However, something occurred to me when working on the re-saw – how nice an easy “shaping” the wood for the handle was using just a rasp and spokeshave. 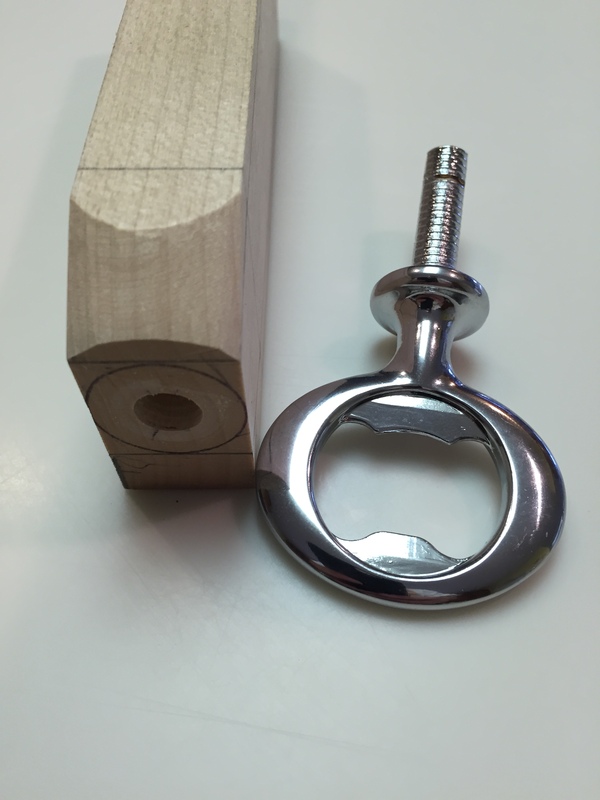 And I started to think – what if I just wanted flat handle on the opener, rather than a fully round one? 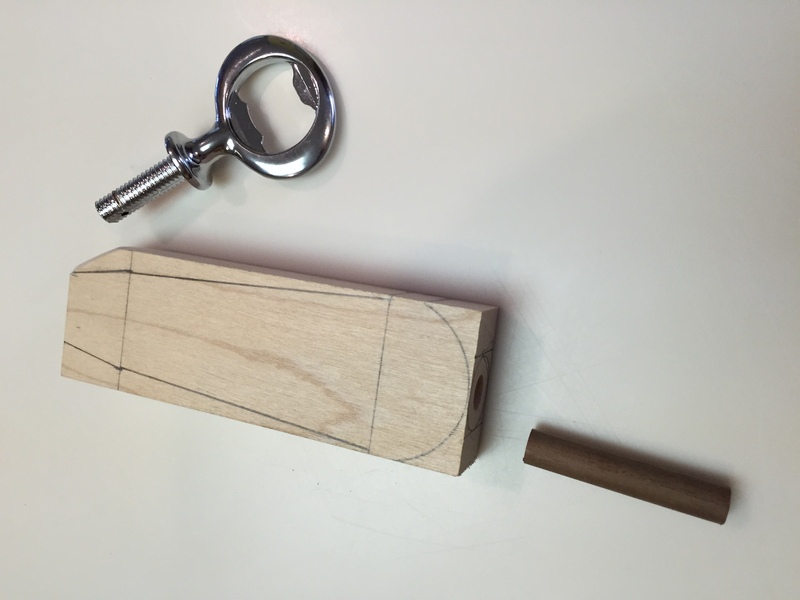 The first pattern I tried was a rough paddle shape, the narrow end at the head, and the wider end back in the hand. 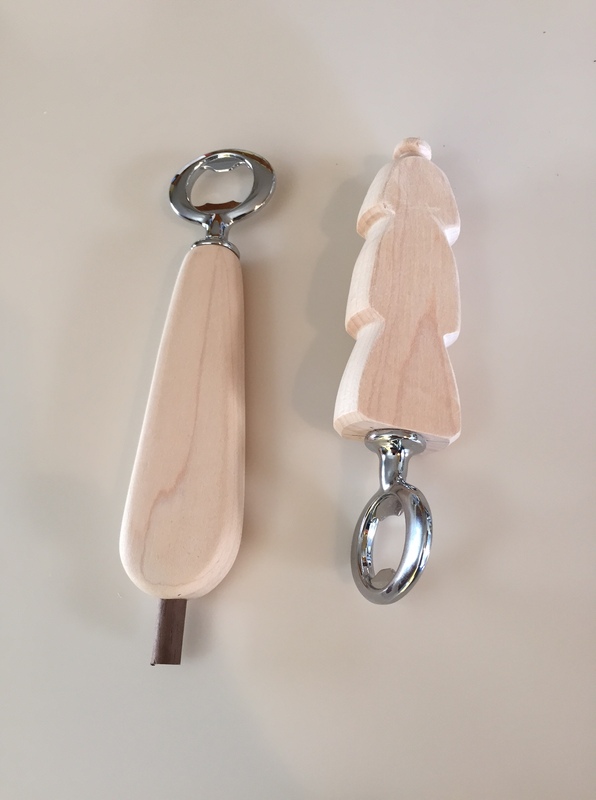 As I use a bottle opener by holding the cap with my thumb on top the metal opener this fit my hand pretty well. 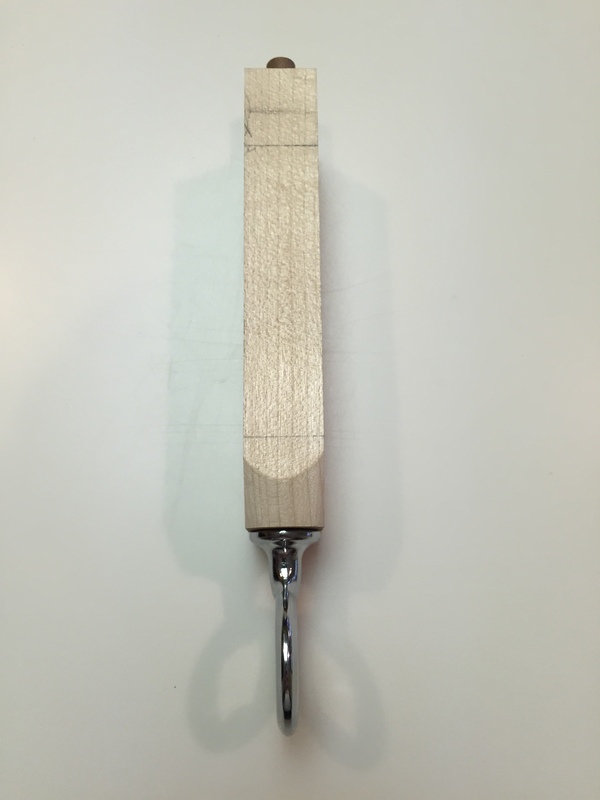 When I showed it to Lee (co-worker at the store) he pointed out that he used them the other way, with the wide end at the head, and the narrow end at the back. And so I thought of a couple of other patterns to try… a fish shape (head at the opener), a dog bone (friend I wanted to have it loved his dogs) and am thinking about some form of holder of a family picture for my brother. 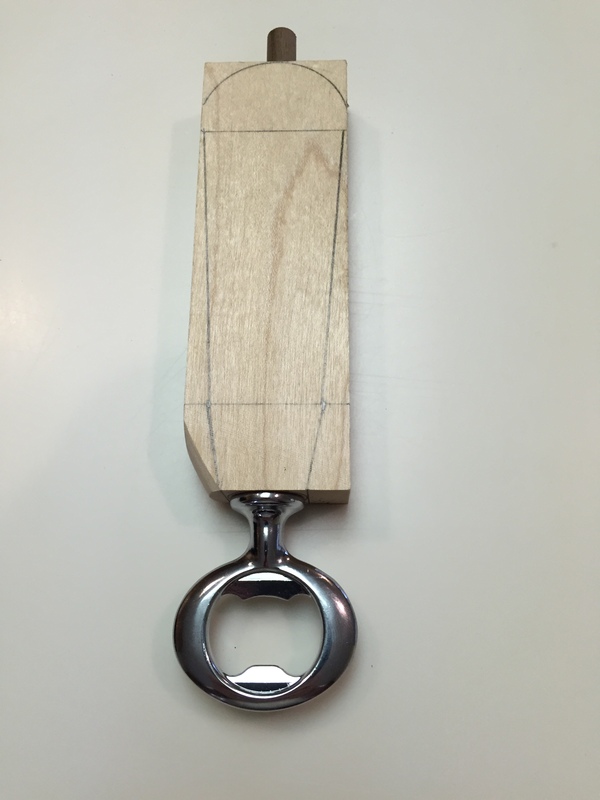 This entry was posted in Shop stuff on September 14, 2015 by bkbiggs.